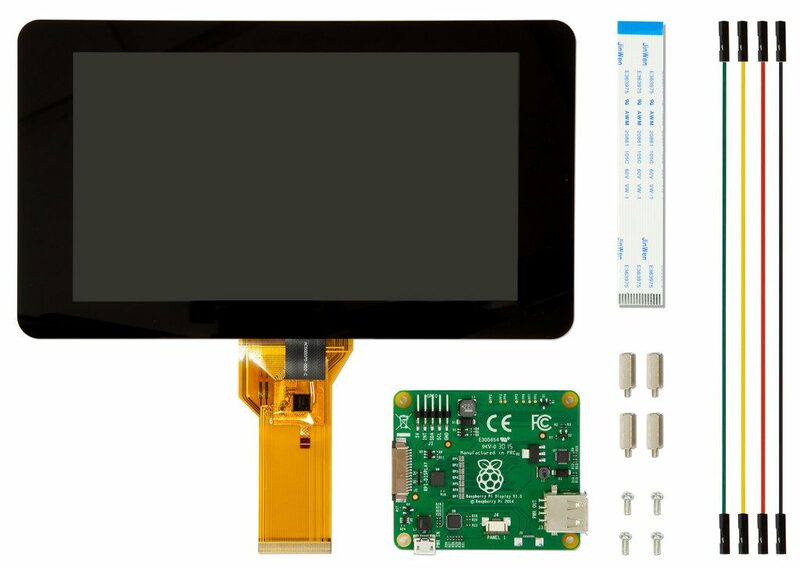 After a long time, the first official display module for the Raspberry Pi was presented, one which uses the DSI connection. The 7″ display is up to date thanks to a 10 finger capacitive touch screen and 60 frames per second frame rate. It has the resolution of 800×480 pixels with a screen size of 15.5×8.6cm. The package contains an adapter board and optionally a (coloured) housing. After the Camera Module came on the market last year, there are now modules for both (DSI and CSI) ports. The big advantage of this display is that it can be operated without an additional power supply. This is particularly useful for Car PCs or applications where only the Pi can be powered. It is questionable whether it makes sense to run it on a rechargeable battery since the power supply would probably not last very long. Due to the fact that the HDMI connection is not used, a second display may also be connected. Next to the adapter board is the DSI ribbon cable and screws to attach it to the back side. Raspbian OS is required for this operation, but additional packages have to be installed afterwards as well. If someone wants to buy such a display he can also optionally order a case in the Tangerine, Coupé, Rayle, Noir, Flotilla and Jade colour with it. 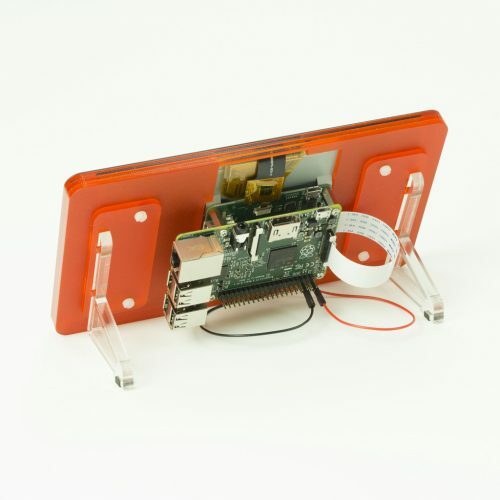 This requires a Raspberry Pi 2 Model B, Model A or a Raspberry Model B of the first generation. The touch display can be bought here.